A series of new Guitar/Bass effects, crafted with care, covering a big part of all the wide spectrum of effects for guitar and bass sounds but also useful for synths and mixing. Classic sounds, analog quality, real feeling. Sweet Honey overdrive (“SHOD”) is a carefully crafted, component-level, model of the hardware bepdal by Mad Professor Amplification. 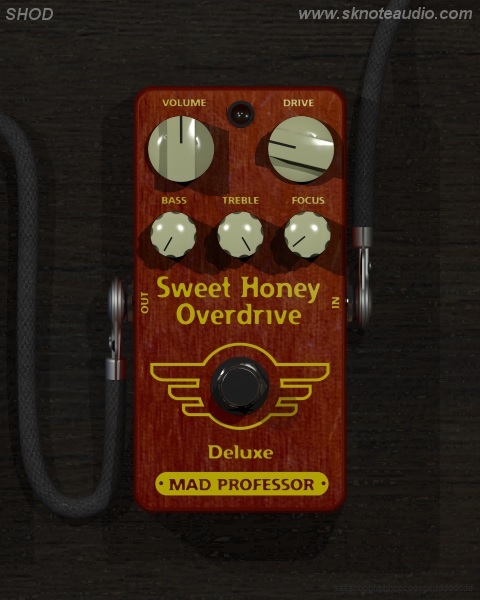 Sweet Honey overdrive 29.99$. Get it in the webshop here.